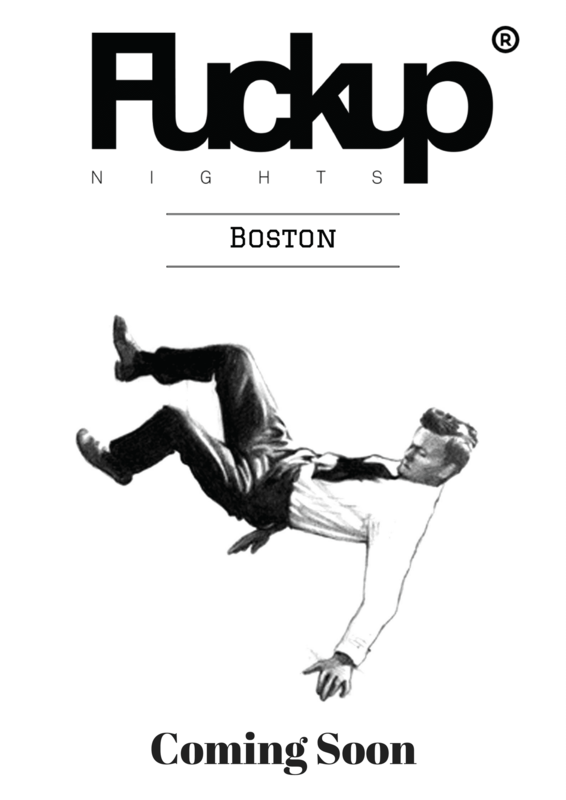 Come checkout the LUCKY 8 installment of Fuckup Nights Boston. 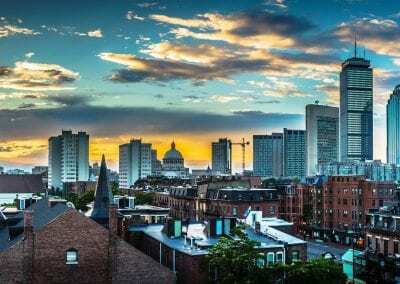 We’ve partnered with Mass Challenge for this one. We’ve got three amazing speakers AND a mystery speaker. 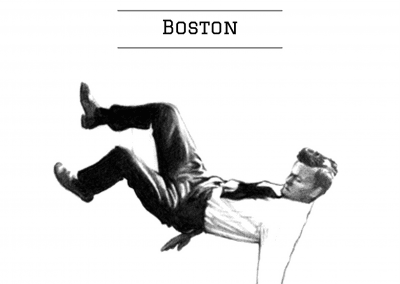 So, come meet the entire Mass Challenge cohort – 128 startups all in one space. It can’t get better than that. Oh wait, yes it can. There will be beer too. Get your tickets on Eventbrite here. 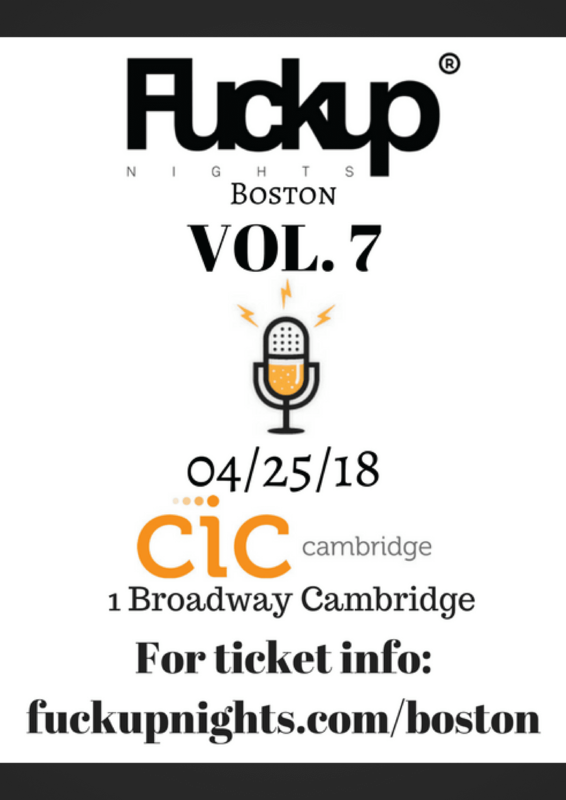 Vol VII will be at CIC Cambridge. Get your tickets. 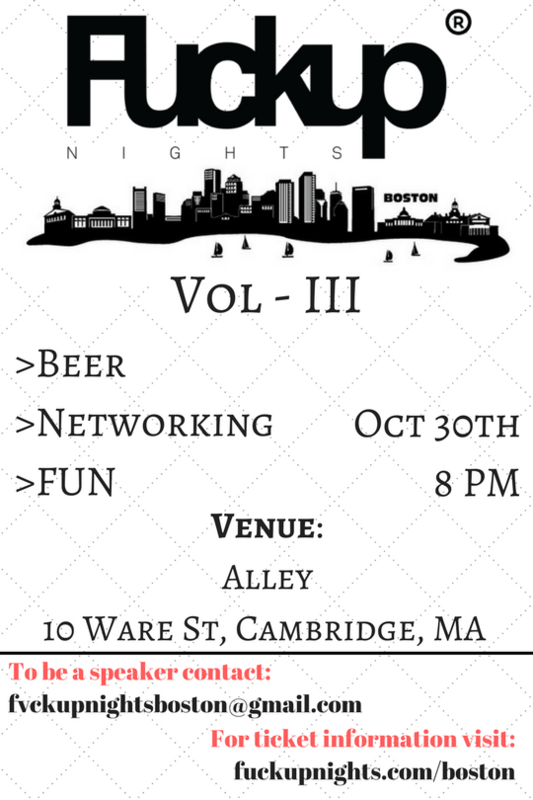 Join us for the third installement of Fuckup Nights Boston. Or signup to speak at a future event. Can’t make it? Follow us on Facebook and Twitter for future events!